The invitation to the exhibition. This exhibition was a joint undertaking with a group of fellow artists who have been meeting each week for the past few years in my studio. 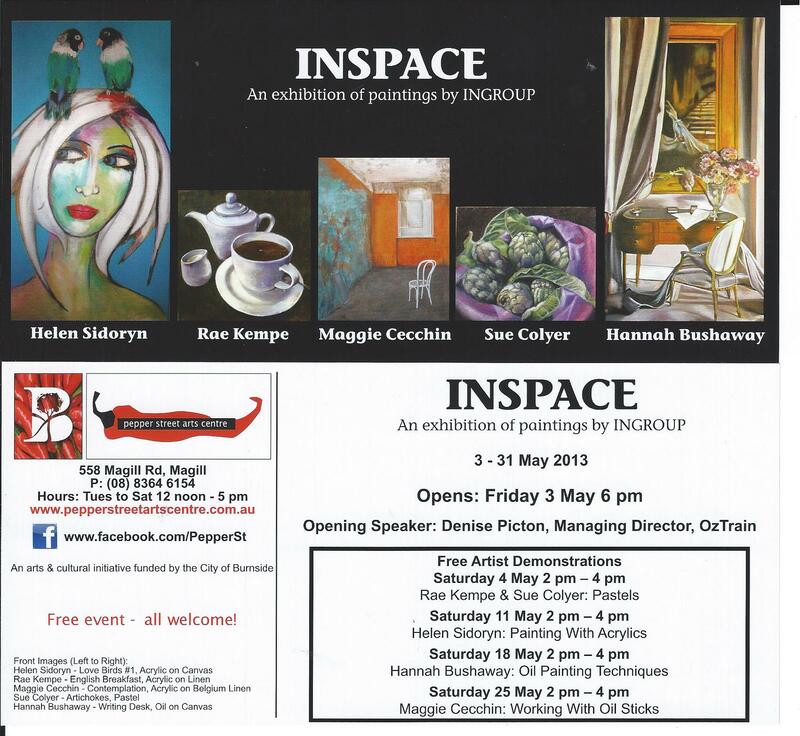 We call ourselves INGROUP; and the title for the exhibition was Inspace. 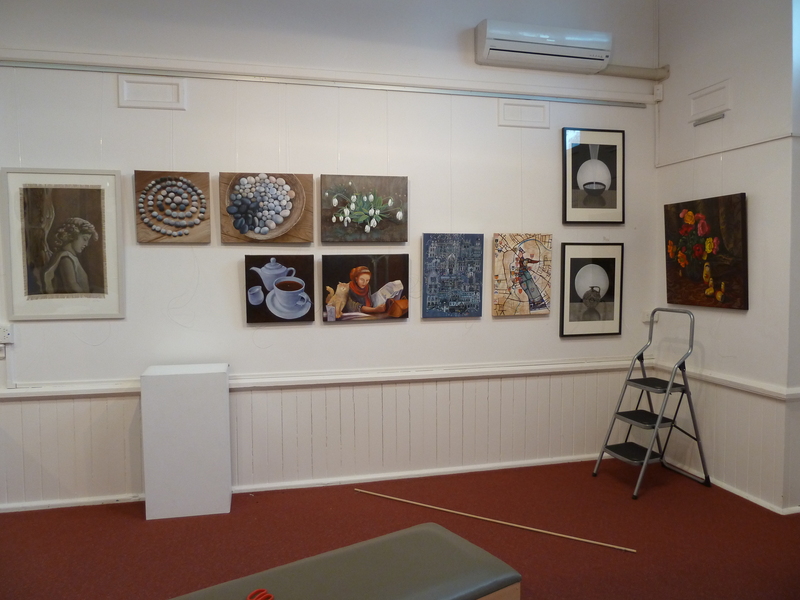 The exhibition was held at the Pepper Street Arts Centre, 558 Magill Rd, Magill (cnr of Pepper St and Magill Rd), opened on May 3rd, and continued until May 31st. We had a very successful opening night, exhibiting over 60 pieces of art, each having our own space within the gallery. During May we also ran workshops. I was involved in the pastel and oil stick presentations. You can view the 11 paintings I entered in my INSPACE Gallery (click here).